Have you heard of the trophoblast theory of cancer? 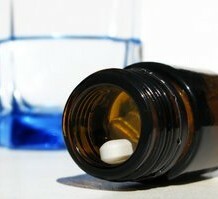 It basically states that cancer is a deficiency disease, much like scurvy is a deficiency of vitamin C. Under this theory, it is stated that nature has provided two main mechanisms for protection against cancer – the pancreatic enzyme trypsin, as well as the natural compound amygdalin, which can be found in many foods but occurs most richly in bitter almonds and apricot kernels. When our bodies lack these two vital ingredients, then cancer may result. Amygdalin is also commonly called vitamin B17, while the extracted version of the compound is called Laetrile. It is acknowledged that there are many other anti-cancer agents in nature, but none more potent and important as amygdalin. Interestingly, this theory was the first ever alternative cancer treatment protocol I learnt about, some 7 or 8 years ago. You could say it introduced me to the world of natural health and healing, and to the failings and corruption of the cancer industry. The following video clip presents the documentary by G. Edward Griffin, titled: “A World Without Cancer – The Story Of Vitamin B17″. It’s quite a fascinating watch, talking not just about vitamin B17, but also about cancer and its treatment in general. It’s quite a long clip though, about 55 minutes. If you would like to only watch the part covering the science of the trophoblast and vitamin B17 theory of cancer, go to the 16-minute:30-second mark; that area is covered in about 10 or so minutes. My take on vitamin B17: I would not rely on it ALONE to prevent or treat cancer. Instead, I would use a comprehensive and holistic protocol, of which vitamin B17-rich foods would form a part. Video is a good way to explain anything. Thanks for sharing it. Vitamin B17 is great for health. It is found in many foods. Vitamin B17 face pack brings shine to skin, soothes troubled skin, relieves sun burns and many other benefits. I have been taking apricot seeds for 2 months now.I was diagnosed 1 year ago with stage 4 NSCLC. I chew on about 40 a day and have recently introducted the Budwig Diet as well. My tumours at last scan have grown but I feel very well and will probably start more chemo next week. I believe in using every thing available in both conventional and alternative medicine.A positive yet realistic attitude helps too.